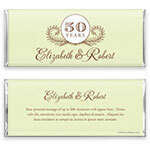 Celebrate your anniversary in royal style with this beautiful chocolate bar wrapper. 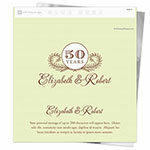 Design: Number medallion with vines and elegant script. 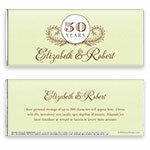 Personalization: Front number and names, back title and message.